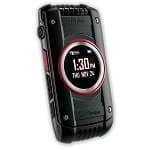 Flip phone or GPS watch locator phone? Which is the best for your kids? I’ll share a few of my thoughts below. With five kids from 2 to 11, we’re in the process of getting our older kids cell phones. While some would choose to purchase their children the latest iPhone or Android phone, my wife and I are much more hesitant. Not only are the prices of these smartphones rather steep, I’m not sure I’m ready to let my kids have access to the world. Call me an overprotective parent if you’d like, but I’d prefer to have a few more years of teaching before I give them access to social media, texting, and a tiny computer they can take with them wherever they go. What’s more is that smartphones aren’t very rugged, and my kids seem to break just about everything. That being said, I still want my kids to be able to communicate with me if there’s a problem or if they need me to pick them up. My oldest son is heavily involved in competitive basketball and soccer. If you’re like me and in a similar situation, here’s the solution my wife and I have come up with. We use some good and cheap tablets for our kids so they don’t miss out on all their favorite apps and a flip phone or other more practical options for communicating. 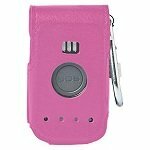 We use portable MP3 players for when they want to listen to music while they’re out and about. Depending on what phone service you use, you may or may not be able to use certain carriers on the market. So, here’s a look at some of the better flip phone options from each carrier. 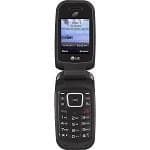 If you want to use T-Mobile or AT&T as a carrier, the LG B470 is a good option. It runs on the GSM network and therefore works with those carriers. It’s a budget option at under $50 and has fairly good build quality. 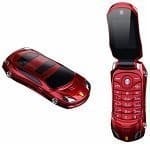 In terms of features, it comes with a 1.3MP camera, Bluetooth connectivity, a 2.2″ internal display, and a text to speech key. 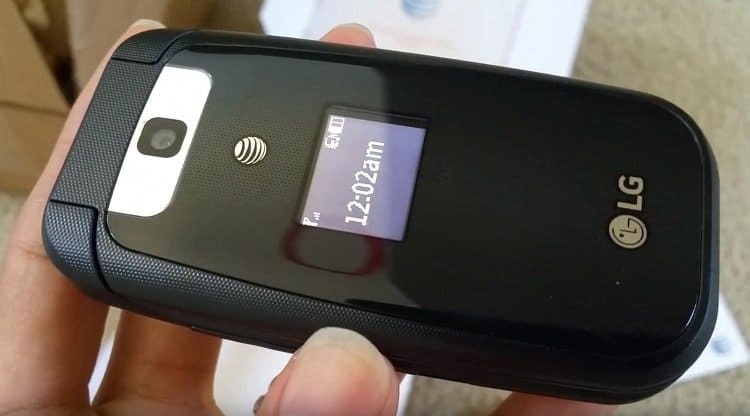 If you’re using T-Mobile it’s likely you’ll have to get a new Sim Card with this phone. AT&T users may find that they are in luck. 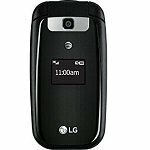 For T-Mobile users, the LG 450 version I’ve listed below is a more seamless option. Overall, this is an inexpensive option that has clear calls, a good signal, loud enough volume, and does what it’s supposed to do. So, it has everything you want to give your kids, with little you don’t. I definitely recommend it for those that simply want something that’s inexpensive that works. 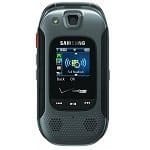 If you’re looking for a ruggedized phone from Verizon, look no further than the Samsung Convoy 3. This one would be good on a campout with your kids or as a family emergency option. If purchased through the Verizon store, the Convoy 3 will cost you around $6.24 for 24 months or a total of around $150. Alternatively, you can find this phone on Amazon for just $90. While this phone is still fairly basic, it is good at receiving calls in a noisy area. That’s because it has dual microphones along with noise-canceling technology so you can hear more clearly. Built for durability, it stands up to dust, shock, and extreme heat, which makes it perfect for the outdoors or taking a photo or two. If you’re looking for a simple flip phone, this might not be it. It does allow for text messaging, web browsing, or social media access. This access can be limited by Verizon if you set it up. Here’s a look at Verizon’s Family Safeguards and Controls. Here’s another GSM (T-Mobile) option. It’s inexpensive at around $37 and is a great option for a young kid. It comes in 5 different colors and looks like a Model F15 Sports Car as you can see in the picture above. It’s thin, easily fits in your pocket, and lights up and even can make car noises. It has a basic camera, no BlueTooth Support, and other basic features like a calculator, calendar, recorder, and an alarm. If you’ll be getting a SIM card beforehand, this one can take the larger standard option. The one downside to this is that it provides 2G GSM. This option is a bit outdated. So, it should only work with a carrier like T-Mobile, Lycamobile, Speedtalk, or Ting. AT&T will NOT work. So no, it’s not a smartphone, and yes it has very basic features. I’d recommend this up to kids age 10. Most older kids would prefer a simple more basic model to the car design. A great option for a younger kid that needs an emergency phone. 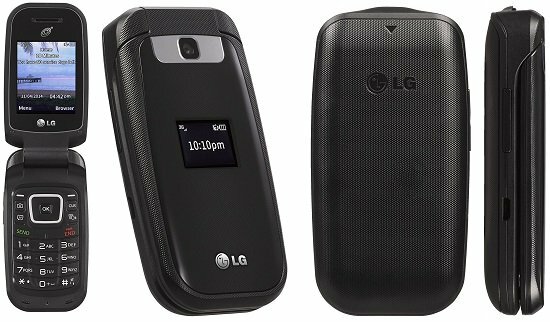 The LG 450 is your basic flip phone with a few extras that work well with kids. First, it has a 1.3 Megapixel camera that is fun and allows them to share their photos and videos while they’re out and about. In addition, it has a calculator, alarm clock, and calendar. Our kids use this along with an Instant Polaroid Camera for all of their needs. If you go with a T-mobile contract and want to order the LG 450 from their website, they’ll charge you $2.50 a month for 24 months for a total of $60. Amazon charges around $45 and offers the phone as a no contract option. As the phone includes a sim card, it’s easy to get set up on a pay as you go plan, which is probably the least expensive option for your kids. Phone plans can be expensive. For our current plan, we only pay $10 additionally a month. However, we have 5 phones on the plan and split the cost with some relatives. If you’ve only got a couple of lines in your house, odds are you’re paying much more. If you want to avoid that with your child’s phone, a prepaid phone from Tracfone is a good option. My favorite option of theirs is the $125 for 365 days of service, 1,500 minutes, 1,500 texts, and 1.5GB of data. This gives you around 25 hours of talk time. If you find you’re talking a lot more than a couple of hours a month, this isn’t such a great deal. 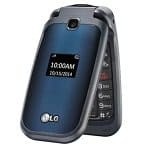 So, literally, this is more of a “Mom come and get me” or “Dad what time do I need to come home” type of phone. Here’s another rugged option you can use with the Verizon network. The Casio G’zOne C781 is a no contract phone available for pay as you go plans. It’s easy-to-use with large button and navigation controls that any kid or senior could use and will stand up to a lot of abuse. It’s also waterproof. For data, the G’zONE has 3G support. Like many other phones on this list, it has a few applications and a browser that’s readily available. 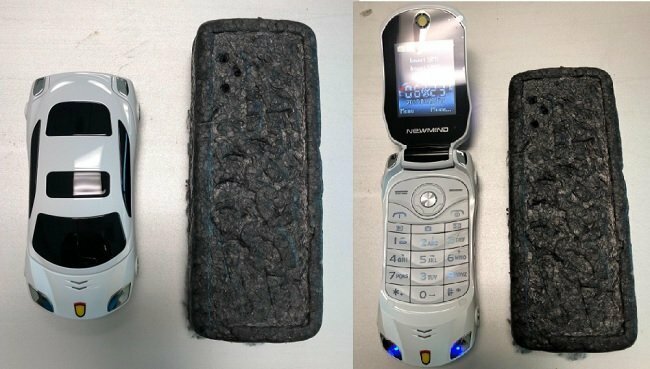 However, this phone’s main purpose is as a rugged option. 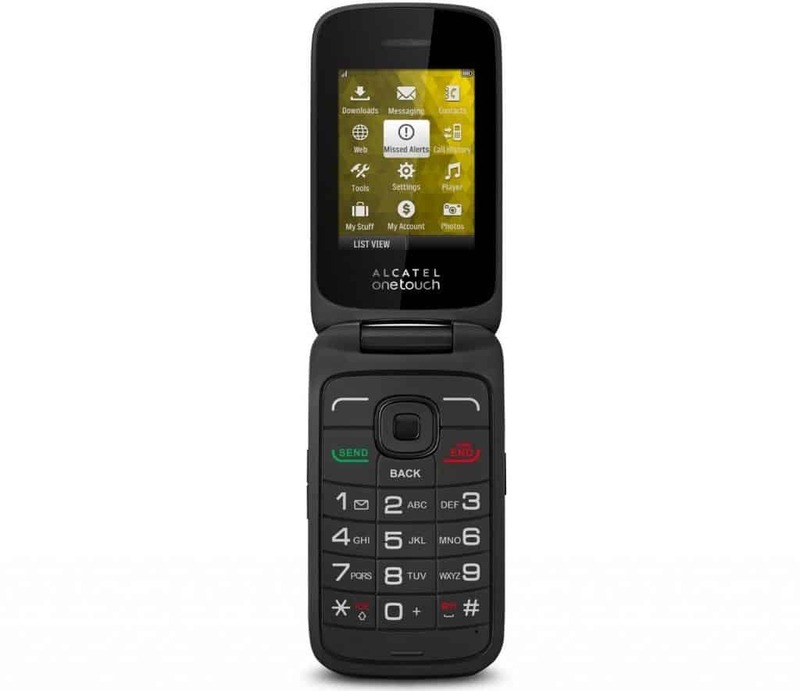 For just $7.25, Alcatel has their OneTouch option as a Sprint Prepaid phone. If you’re a Sprint user, this might be the perfect option for your kids, as it’s so cheap and easy-to-use. What’s more is that the signal on this phone has been found to be one of the better ones available. It’s also a good phone for the visually impaired as it has a text to speech option. Overall, this phone is cheap, easy-to-use and a good and safe option for kids. This phone works with GSM phone carriers in the US and the rest of the world. It’s inexpensive and has text, picture, video, and voice messaging. It retails for around $25. 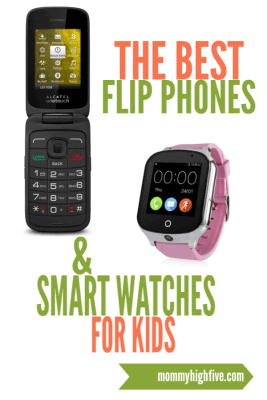 If you’re afraid your kids will lose their flip phones or want a simpler option, here are a few good alternatives. With all of these watches, you need to know what they’re capable of and do best, as many of them are still fairly limited in their support and functionality. My guess is that this will improve greatly over the next few years. If you’d prefer something with built-in parental controls and options, the FiLiP 2 Smart locator might be a good place to start. For AT&T users, it gives parents the option of setting five pre-programmed contacts as well as one-way text messaging. The app for parents is available for both Android as well as iPhones and puts everything you need at the touch of a button. For emergencies, the FiLiP 2 has a dedicated emergency button on the side. When pressed for four seconds, it’s activated and will automatically call the primary contact you’ve set. Another nice feature for the FiLip 2 is the safe zone designations. You can program these safe zones so that any time your child leaves them you are notified. The FiLip 2 does require its own user plan. Another great option for kids is the Owl Cole. It uses 3G data traffic and works best with Verizon, AT&T, or T-Mobile. You will need a micro SIM card, as this watch does not come with one. 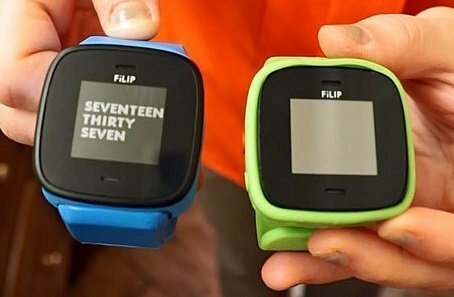 Like the FiLiP you can set GPS locations and be notified when your child exits them. 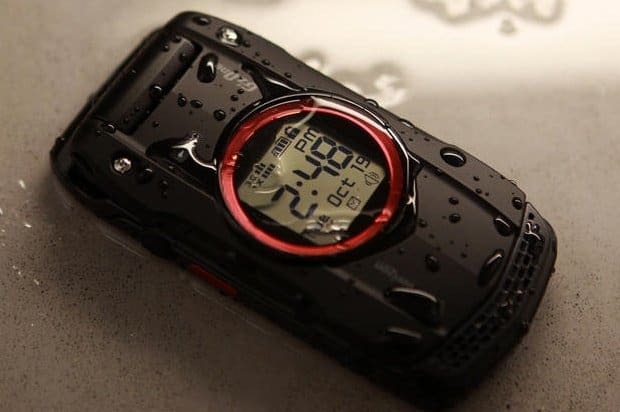 It’s rugged and water-resistant and has quick two-way voice calling. It has some other great features too, including SOS messaging in case of emergency as well as remote voice monitoring and a step counter. The Tycho is my top pick in this category. As the Gizmo Pal and Gizmo Gadget are no longer available, the Tycho is a great replacement option. Although there are certainly other options on this list, the Amber Alert GPS is one of my favorite. The standard plan is $15 a month and gives you unlimited text and e-mail notifications and up to 30 minutes of voice per month. The batter lasts up to 40 hours under normal conditions. You can only purchase this option through the Amber Alert website. So if this is an option you’re looking for, be sure to look there. 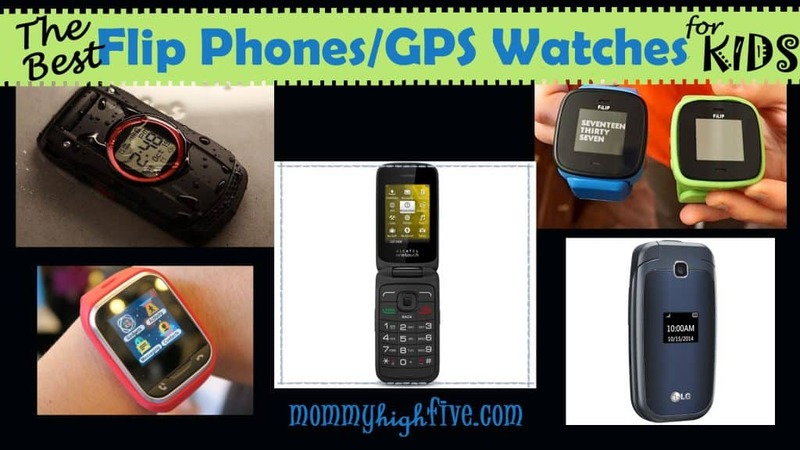 The Gogo is a GSM supported GPS tracking watch that’s relatively inexpensive and comes in various colors for your kids. Like other options on this list, it has a built-in SOS alarm, real-time tracking, geo-fencing, and will track it. From what I’ve seen with it, there are still some issues with it. That being said, for around $65 it might fit your needs perfectly. 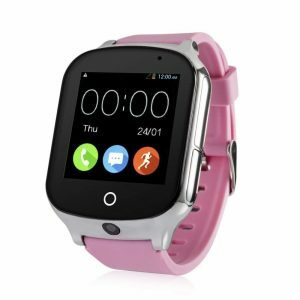 Before I go further, this smartwatch is not a GPS locator or standalone phone. That being said, it can be programmed to hook up to a phone when paired by Bluetooth and answer certain calls. It’s fun for your kids around the house and has a lot of fun games and features. If you’re looking for the knockoff version of the models above, the GBD-GPS is a GSM carrier option for kids that comes in at around $30. 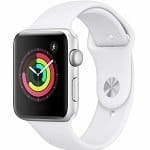 The functionality is below that of the other watches on this list, and it doesn’t include a Sim Card, so be sure to pick one up before you get going. The main issue that you’ll come across is with the GPS fencing, which I’ve had a bit of an issue with. For just calling, it does its job. Alternatively, you could hand down your old smartphone to your child and use a parental control app. There are many apps to choose from, with some having a yearly or monthly fee and others offering fewer features for free. In addition, removing data and using your carrier’s built-in parental controls can allow GPS tracking or limit texting, picture texting, filter browsing, or other capabilities you might not want your children to have. The time of day they can use their phone can also be restricted. If you want more information I’d recommend you go directly to your carrier’s website for additional details. A lot of the information for can also be found on cell phone parental controls by Consumer Reports. There are two types of networks that cell phone carriers use. 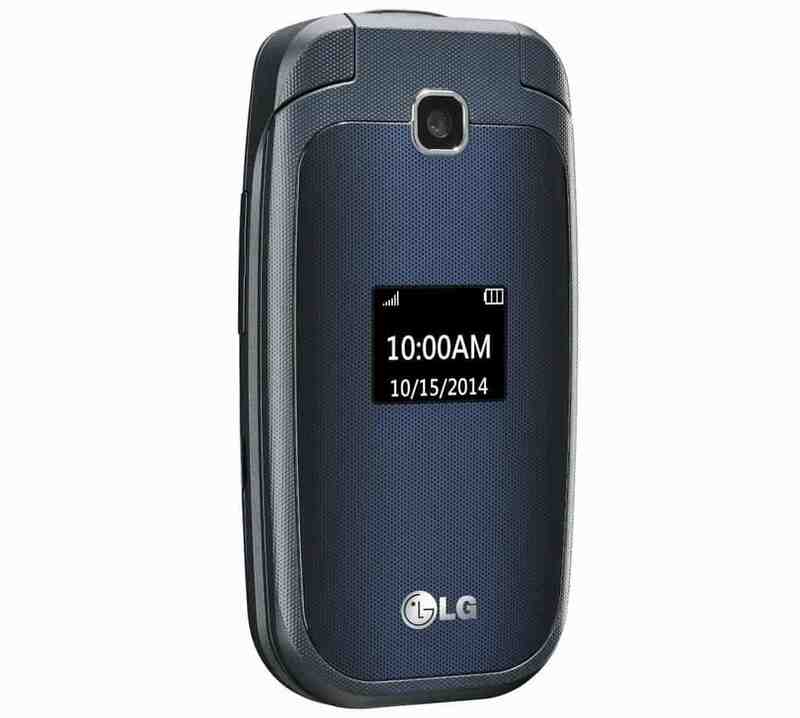 Before purchasing a no-contract flip phone, be sure that it’s compatible with your carrier. For example, AT&T and T-Mobile run on GSM networks, while Sprint and Verizon use CMDA. Even if a phone is unlocked it will still only work with the network it’s setup for. In today’s world it’s important to keep kids safe, but giving them a smartphone doesn’t always seem like the best solution. How do you keep in contact with your children?